How to Edit Text in Images and PDF and Save it to Word, Text, HTML and PDF files. 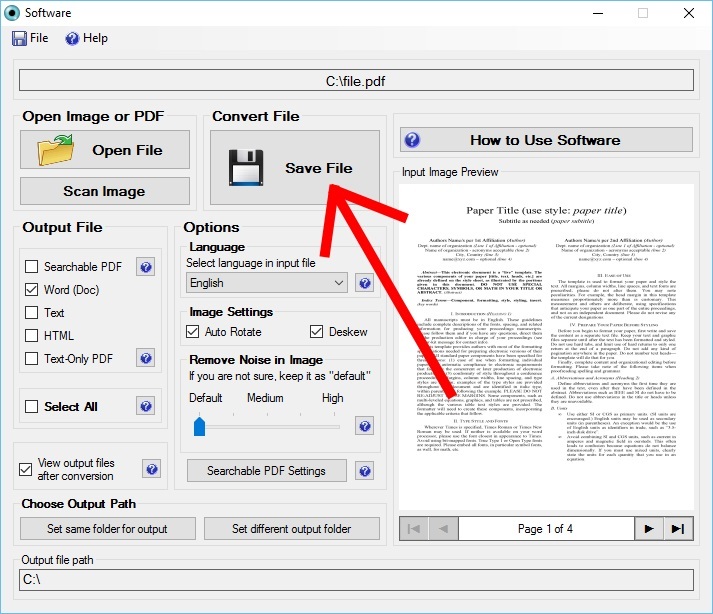 JPG to Word Converter software should be present on your computer to convert a JPEG image or PDF file into a Word document. 1. Select the image or PDF file to be converted. Select the PDF or image file to be converted to editable file formats such as Word, Text, HTML, PDF. 2. Preview Image and PDF File. 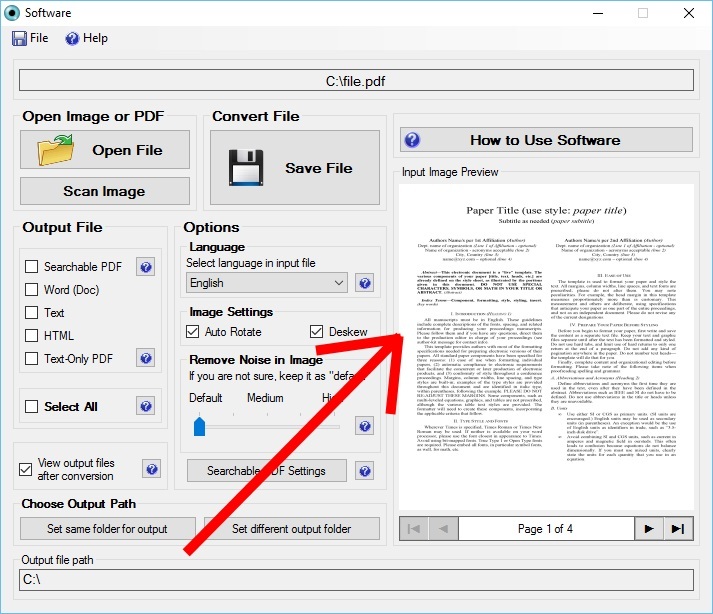 When you open any Image or PDF file, it will show in the preview panel on the right side of the software. 3. Select the desired output formats. Select any desired text-based output format such as HTML, Ms-Word, PDF, Text. One or more formats can be selected together. To start the conversion and save to the selected file formats. The converted file will automatically open after conversion. A “Text-only” PDF contains text extracted from the images in the PDF. 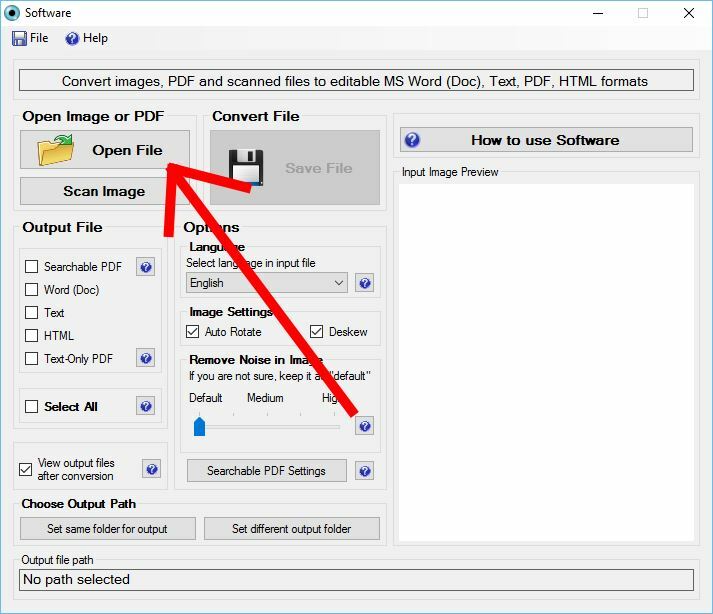 When a image based PDF is converted by this conversion software, the text is extracted from the images in the PDF and then saved as a PDF file. 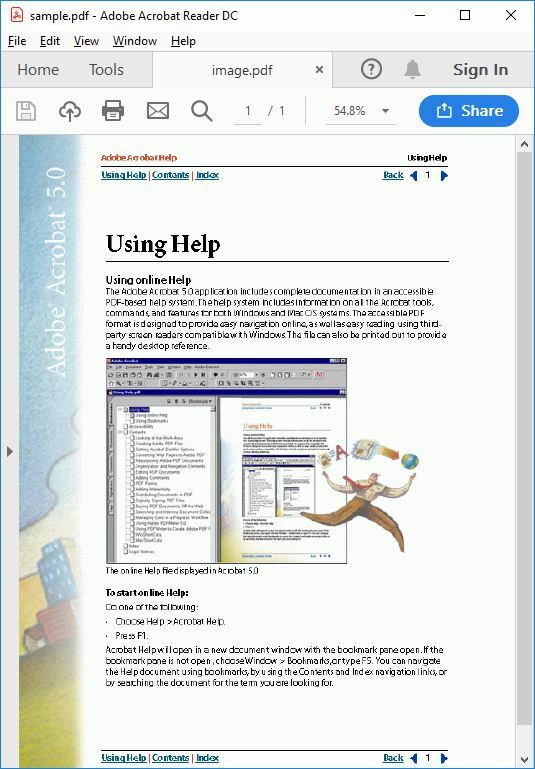 An example of Text-only PDF is shown on the right side. Text-only PDF is the best PDF format for PDF editing, printing, searching and conversion to other text-based formats such as MS Word, Doc, HTML, Text etc. Text-only PDF has the best PDF editing support and gives high quality printouts at high zoom levels. A scanned PDF file contains images in it. Scanned PDF files usually contains scanned images and paper documents. Almost all scanners have in-bulit capability to create single-page or multi-page scanned PDF file from scanned pages. 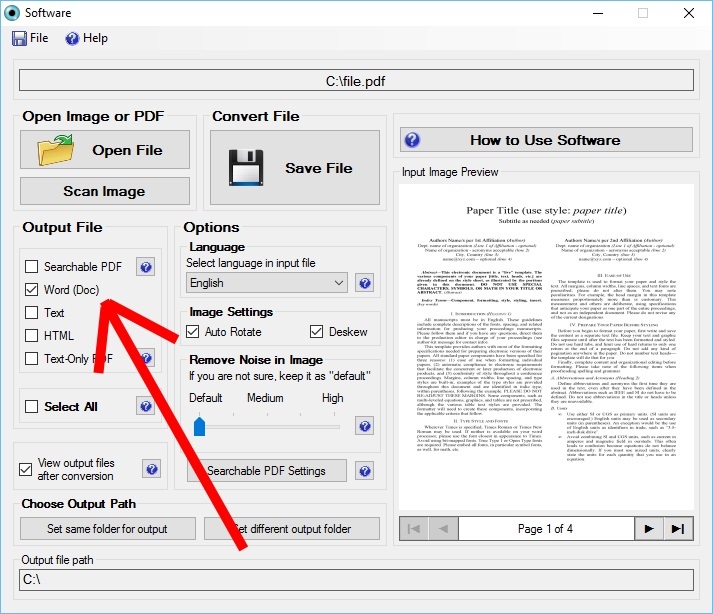 This software converts scanned PDF to a “text-only” PDF file. An example of scanned PDF file is shown on the right side. text present in images of Image-only PDF file cannot be edited or searched. Cannot be converted to other text-based formats such as MS Word, Doc, HTML, Text etc.